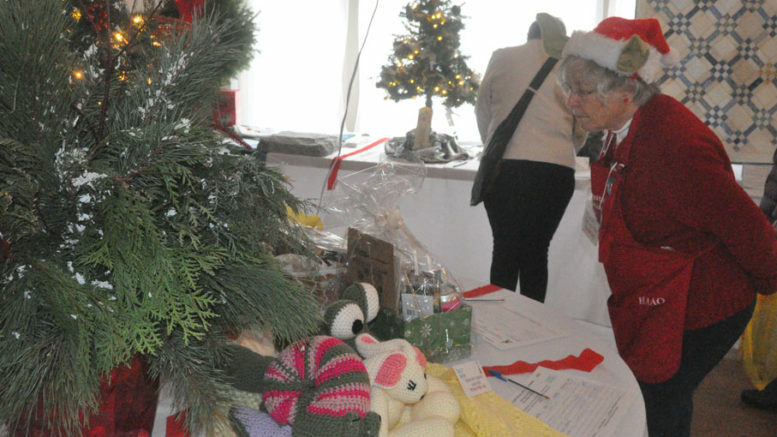 The Prince Edward County Festival of Trees remained a popular place for visitors from near and far to start their holiday traditions while doing some good for the local hospital. A steady stream of guests flowed through the Isaiah Tubbs Resort on West Lake from Friday through Sunday. There were parents and grandparents toting children for a visit with Santa Claus, while families of all stripes surveyed close to 200 decorated trees and items donated by community groups, businesses, and individuals to make a bid on those that caught their fancy. Those not able to win bids could also do their part through support of a bucket draw, a holiday food sale with over 1,800 items, and a Second Time Around Christmas boutique. With all the bids counted and sales counted, Wednesday, he said the Prince Edward County Memorial Hospital Auxiliary expected to net around $50,000, which is on par with last year’s banner year. 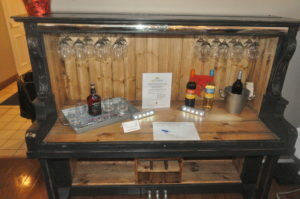 That comes as the money raised from the baking and preserves was way up and the bucket draw for prizes was a bit up. The Christmas boutique stayed on par. Starkey said the money will more than pay for the target item, a pediatric and neonatal heart monitor valued at $23,000. The rest of the money raised will help the hospital buy other needed equipment. 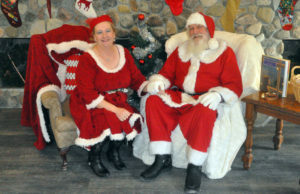 While Santa and Mrs. Claus had a new home in their own pavilion — a bit of a special experience away from the bustle of the auction — much remained the same with this year’s event, including two days of live entertainment in the Restaurant on the Knoll. Starkey said he doesn’t see much need for change. Starkey said the Auxiliary owes a debt of gratitude to Isaiah Tubbs, who offers its whole facility free of charge for the weekend, and to the many volunteers who help put on the event. Starkey said over 1,600 volunteer hours were logged at last year’s event and he believes that’s on the low side.